ORLANDO — Disney Parks announced this week the opening date for its new Avatar-themed land, revealed a new fireworks show coming to Walt Disney World, and announced the opening date (well, actually it’s just the opening year) for its new Star Wars-themed lands coming to both coasts. “Pandora – The World of Avatar” will open at Disney’s Animal Kingdom in Florida on May 27, Disney CEO Bob Iger announced this week. The land, inspired by James Cameron’s “AVATAR,” will be a 12-acre land that will immerse guests into the world of Pandora. The land will include floating mountains, bioluminescent rainforests, and flying “Banshees,” Disney said in a news release. “Rivers of Light,” an all-new nighttime show at Disney’s Animal Kingdom, will begin shows on Feb. 17. The 15-minute show was originally set to debut last April, however technical issues delayed the opening of the show until this month. The theatrical show celebrates nature and its connection with humans by combining live performances, floating lanterns, and special effects. 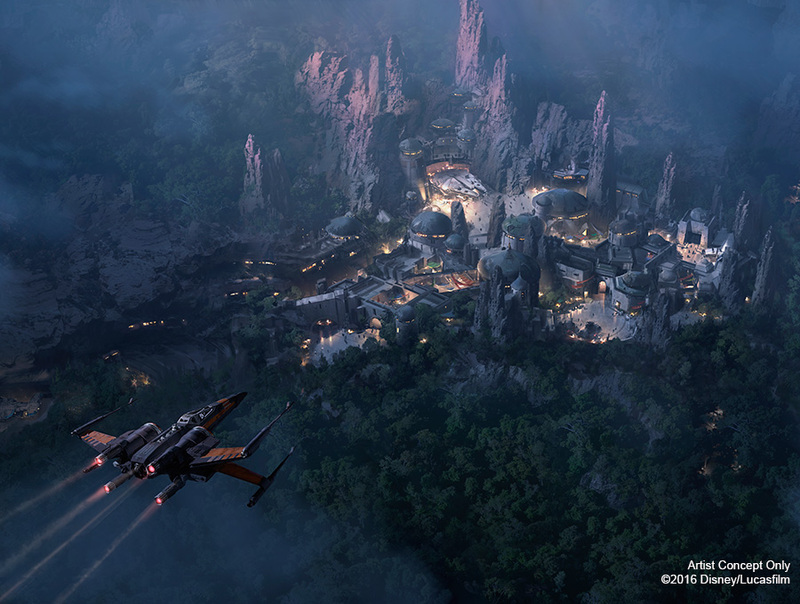 Disney also announced the new Star Wars-themed lands planned for Walt Disney World and Disneyland will open in 2019. The 14-acre lands will be based on the blockbuster movie franchise. The new lands will feature two new attractions, including a ride that lets visitors pilot the Millennium Falcon. Also this week, Disney announced “Happily Ever After,” a new nighttime fireworks show that will premiere at Magic Kingdom in Florida on May 12. “Wishes,” the current fireworks show at the park, premiered in 2003.